Maika Monroe is definitely getting the best of both worlds as an actress and professional kiteboarder. She has a slew of movies under her belt including At Any Price, Labor Day, and Independence Day: Resurgence. The Santa-Barbara born actress earned the moniker “scream queen” after her performances in the 2014 critically acclaimed films The Guest and It Follows. Besides her flourishing acting career, there is more to her than meets the eye; read all about it herein. On the 29th day of May 1993, the Monroes’ welcomed their bundle of joy in Santa Barbara, California. On beholding their little one, Dixie, a sign language interpreter and Jack Buckley named her Dillon Monroe Buckley. The name, Dillon is of Celtic origin and means ‘faithful’. Growing up, she fell in love with and adopted the moniker Maika and subsequently changed her first name to that. Her father, who was a kiteboarder taught her how to kiteboard at the age of 13 and by the time she was a senior in high school at 17, she was set to move to Cabarete in the Dominican Republic to continue training and hone her skills further while she completed her studies online. She made her film debut in 2012 in At Any Price which also starred Zac Efron having appeared in an episode of the TV show Eleventh Hour the previous year. Since then, she has had steady movie roles. She was cast in the drama film Labor Day as Mandy with Kate Winslet in 2013 and in the television film, Flying Monkeys. In 2014, she starred in the psychological thriller film The Guest and in the horror film It Follows which became a cult following. Following up, she appeared in Echoes of War (2015) and in the short film Burned (2015). Maika was cast in the 2016 sequel of the 1996 film Independence Day, Roland Emmerich’s Independence Day: Resurgence alongside Usher, Liam Hemsworth, and Jeff Goldblum as the former First Daughter Patricia Whitmore. She also co-starred in the invasion thriller film The 5th Wave (2016), based on the novel of the same name. Though she is less than a decade old in the industry, Maika Monroe has over 20 films and TV shows under her belt. In 2017 alone, she appeared in six films including Hot Summer Nights opposite Timothée Chalamet, The Scent of Rain and Lightning, the sci-fi drama film Bokeh, Mark Felt: The Man Who Brought Down the White House, I’m Not Here and The Tribe of Palos Verdes. Her 2018 films include After Everything, Tau, Grate, Shotgun with Joe Keery. She is set to appear in the following movies in 2019 movies: The Education of Fredrick Fitzell, Villians and Honey Boy. Maika’s career is rising meteorically and she would certainly be around for a very long time. Kiteboarding is the actress’ first love. After she trained in the Dominican Republic for 7 months, her athletic path prospered and she even placed second in the International Red Bull Air Competition. Maika was also ranked 32 in the world in the sport. She credits the sports with her fearlessness in acting and also for keeping her grounded in the seemingly crazy acting industry. Her goal is to continue to act and still be a professional kiteboarder. While in the DR, she considered the local kids a part of her family. They, in turn, inspired her to begin a clothing line which she called Airbound Apparel. Most of the proceeds from the venture went to the local charities. Following her subsequent performances in the critically acclaimed 2014 horror films, It Follows and The Guest, she became recognized by fans and film enthusiast as a Scream Queen, though she is not a fan of the moniker herself. Nonetheless, the moniker wasn’t her only take home for her performance. She received numerous nominations for her role as Jay in It Follows and won several awards including the 2015 Hamptons International Film Festival for Breakthrough Performer and the Best Actress category in the 2016 Fangoria Chainsaw Awards. Most times, we tend to label superstars as demigods and as a result, alienate them from everyday experiences we have. Also, when we learn that they face similar things we face, we kind of become more at home with them knowing that we are all humans who share typical human issues. For the actress, she may not have a fear of spiders or height or even water like you do but she has a major phobia about knives. 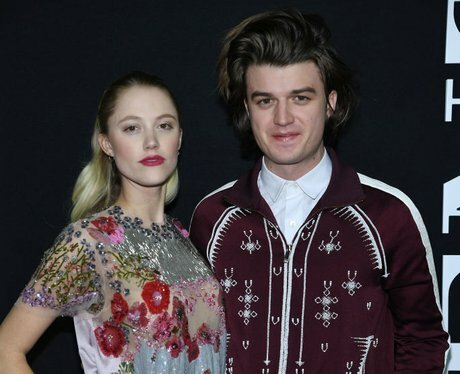 On her private profile, Maika Monroe is dating the Stranger Things actor, Joe Keery. The duo has been together since 2017 after they shared the screen on Shotgun and has also graced several red carpets as a couple including the 2017 premiere of Stranger Things 2.